The horseshoe arch, also called the Moorish arch and the Keyhole arch, is the emblematic arch of Islamic architecture. Horseshoe arches can take rounded, pointed or lobed form. Horseshoe arches are known from pre-Islamic Syria where the form was used in the fourth century CE in the Baptistery of Mar Ya’qub (St. Jacob) at Nisibin. However , it was in Spain and North Africa that horseshoe arches developed their characteristic form. Prior to the Muslim invasion of Spain, the Visigoths used them as one of their main architectural features. The Visigothic form was adopted and developed by the Umayyads who accentuated the curvature of the horseshoe and added the alternating colours to accentuate the effect of its shape. This can be seen at a large scale in their major work, the Great Mosque of Còrdoba. This style of horseshoe arch then spread all over the Caliphate and adjacent areas, and was adopted by the successor Muslim emirates of the peninsula, the taifas, as well as by the Almoravids, Almohads and the Nasrid Kingdom of Granada, although also lobed, round, pointed and multifoil arches were also used at that time. The Mozarabs also adopted this style of arch into their architecture and illuminated manuscripts. Horseshoe arches were also used in the Mosque of Uqba, in Kairouan and, in a slightly pointed form, in the Mosque of Muhammad bin Khairun, Tunisia. 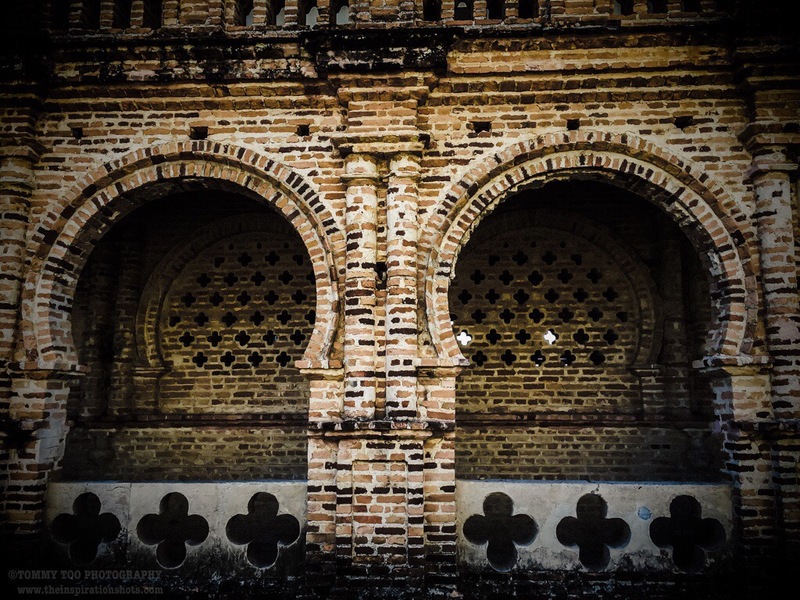 Mudéjar style, developed from the 12th to the 17th centuries, continued the tradition of horseshoe arches in the Iberian Peninsula which had been started in the 7th century by the Visigoths. In addition to their use across the Islamic world, horseshoe arches became popular in Western countries at the time of the Moorish Revival. They were widely used in Moorish revival synagogues. Horseshoe arches are also a feature of Indo-Saracenic architecture, a style associated with the British Raj.